This thread shall be used to help keep Dawnson Chase's important studies organized. From Pokemon acquired to items obtained, this is where it shall all be documented. All findings are to be submitted for review and approval before final filing. Tackle A physical attack in which the user charges and slams into the target with its whole body. Phantom Force The user vanishes somewhere, then strikes the target on the next turn. This move hits even if the target protects itself. Wood Hammer The user slams its rugged body into the target to attack. This also damages the user quite a lot. Dragon Breath The user exhales a mighty gust that inflicts damage. This may also leave the target with paralysis. Zen Headbutt The user focuses its willpower to its head and attacks the target. This may also make the target flinch. Scary Face The user frightens the target with a scary face to harshly lower its Speed stat. Fly The user soars and then strikes its target on the next turn. Taunt The target is taunted into a rage that allows it to use only attack moves for three turns. Nasty Plot The user stimulates its brain by thinking bad thoughts. This sharply raises the user's Sp. Atk stat. Captivate If any opposing Pokémon is the opposite gender of the user, it is charmed, which harshly lowers its Sp. Atk stat. Hidden power (rock) An unique attack that varies in type depending on the Pokémon using it. Swift Star-shaped rays are shot at the opposing Pokémon. This attack never misses. Icy Wind The user attacks with a gust of chilled air. This also lowers the opposing Pokémon's Speed stats. Quick Attack The user lunges at the target at a speed that makes it almost invisible. This move always goes first. Beat Up The user gets all party Pokémon to attack the target. The more party Pokémon, the greater the number of attacks. Powder Snow The user attacks with a chilling gust of powdery snow. This may also freeze the opposing Pokémon. Protect Enables the user to evade all attacks. Its chance of failing rises if it is used in succession. Frost Breath The user blows its cold breath on the target. This attack always results in a critical hit. Freeze-Dry The user rapidly cools the target. This may also leave the target frozen. This move is super effective on Water types. Blizzard A howling blizzard is summoned to strike opposing Pokémon. This may also leave the opposing Pokémon frozen. Take Down A reckless, full-body charge attack for slamming into the target. This also damages the user a little. Harden The user stiffens all the muscles in its body to raise its Defense stat. Accelerock The user smashes into the target at high speed. This move always goes first. False Swipe A restrained attack that prevents the target from fainting. The target is left with at least 1 HP. Retaliate The user gets revenge for a fainted ally. If an ally fainted in the previous turn, this move's power is increased. Bone Club The user clubs the target with a bone. This may also make the target flinch. Endeavor This attack move cuts down the target's HP to equal the user's HP. Dragon Rage This attack hits the target with a shock wave of pure rage. This attack always inflicts 40 HP damage. Iron Tail The target is slammed with a steel-hard tail. This may also lower the target's Defense stat. Rock throw The user picks up and throws a small rock at the target to attack. Hydro Pump The target is blasted by a huge volume of water launched under great pressure. Mud Shot The user attacks by hurling a blob of mud at the target. This also lowers the target's Speed stat. Sand Tomb The user traps the target inside a harshly raging sandstorm for four to five turns. Dragon Rush The user tackles the target while exhibiting overwhelming menace. This may also make the target flinch. Drain Punch An energy-draining punch. The user's HP is restored by half the damage taken by the target. Jump Kick The user jumps up high, then strikes with a kick. If the kick misses, the user hurts itself. U-turn After making its attack, the user rushes back to switch places with a party Pokémon in waiting. Quick Guard The user protects itself and its allies from priority moves. Earthquake The user sets off an earthquake that strikes every Pokémon around it. Sucker Punch This move enables the user to attack first. This move fails if the target is not readying an attack. Gunk Shot The user shoots filthy garbage at the target to attack. This may also poison the target. Sketch It enables the user to permanently learn the move last used by the target. Once used, Sketch disappears. Extrasensory The user attacks with an odd, unseeable power. This may also make the target flinch. Twister The user whips up a vicious tornado to tear at the opposing Pokémon. This may also make them flinch. Echoed Voice The user attacks the target with an echoing voice. If this move is used every turn, its power is increased. Icicle Crash The user attacks by harshly dropping large icicles onto the target. This may also make the target flinch. Flail The user flails about aimlessly to attack. The less HP the user has, the greater the move's power. Mud Bomb The user launches a hard-packed mud ball to attack. This may also lower the target's accuracy. Ancient Power The user attacks with a prehistoric power. This may also raise all the user's stats at once. Camouflage The user's type is changed depending on its environment, such as at water's edge, in grass, or in a cave. Parabolic Charge The user attacks everything around it. The user's HP is restored by half the damage taken by those hit. Thunderbolt A strong electric blast crashes down on the target. This may also leave the target with paralysis. Ice Shard The user flash-freezes chunks of ice and hurls them at the target. This move always goes first. Ice Beam The target is struck with an icy-cold beam of energy. This may also leave the target frozen. Thunder A wicked thunderbolt is dropped on the target to inflict damage. This may also leave the target with paralysis. Power Gem The user attacks with a ray of light that sparkles as if it were made of gemstones. Electro Ball The user hurls an electric orb at the target. The faster the user is than the target, the greater the move's power. Signal Beam The user attacks with a sinister beam of light. This may also confuse the target. Rapid Spin A spin attack that can also eliminate such moves as Bind, Wrap, Leech Seed, and Spikes. Aqua Tail The user attacks by swinging its tail as if it were a vicious wave in a raging storm. Rain Dance The user summons a heavy rain that falls for five turns, powering up Water-type moves. It lowers the power of Fire-type moves. Dragon Claw The user slashes the target with huge sharp claws. Revenge This attack move's power is doubled if the user has been hurt by the opponent in the same turn. Rock Climb The user attacks the target by smashing into it with incredible force. This may also confuse the target. Endure The user endures any attack with at least 1 HP. Its chance of failing rises if it is used in succession. Shell Trap The user sets a shell trap. If the user is hit by a physical move, the trap will explode and inflict damage on the opposing Pokémon. (EM) Revenge This attack move's power is doubled if the user has been hurt by the opponent in the same turn. Dark Pulse The user releases a horrible aura imbued with dark thoughts. This may also make the target flinch. Dragon Dance The user vigorously performs a mystic, powerful dance that raises its Attack and Speed stats. Outrage The user rampages and attacks for two to three turns. The user then becomes confused. Stomp The target is stomped with a big foot. This may also make the target flinch. Slash The target is attacked with a slash of claws or blades. Critical hits land more easily. Fire Fang The user bites with flame-cloaked fangs. This may also make the target flinch or leave it with a burn. Fire Spin The target becomes trapped within a fierce vortex of fire that rages for four to five turns. Wish One turn after this move is used, the user's or its replacement's HP is restored by half the user's max HP. Trump Card The fewer PP this move has, the greater its power. Refresh The user rests to cure itself of poisoning, a burn, or paralysis. 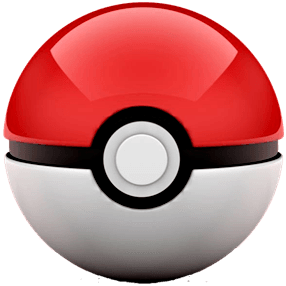 Baton Pass The user switches places with a party Pokémon in waiting and passes along any stat changes. Double-Edge A reckless, life-risking tackle. This also damages the user quite a lot. Covet The user endearingly approaches the target, then steals the target's held item. Pursuit The power of this attack move is doubled if it's used on a target that's switching out of battle. Torment The user torments and enrages the target, making it incapable of using the same move twice in a row. Embargo This move prevents the target from using its held item for five turns. Its Trainer is also prevented from using items on it. Foul Play The user turns the target's power against it. The higher the target's Attack stat, the greater the move's power. Punishment The more the target has powered up with stat changes, the greater the move's power. Mind Reader(EM)The user senses the target's movements with its mind to ensure its next attack does not miss the target. Fake Out This attack hits first and makes the target flinch. It only works the first turn the user is in battle. Foresight Enables a Ghost-type target to be hit by Normal- and Fighting-type attacks. This also enables an evasive target to be hit. Headbutt The user sticks out its head and attacks by charging straight into the target. This may also make the target flinch. Mud-Slap The user hurls mud in the target's face to inflict damage and lower its accuracy. Rock Slide Large boulders are hurled at the opposing Pokémon to inflict damage. This may also make the opposing Pokémon flinch. Ingrain The user lays roots that restore its HP upon every turn. Because it's rooted, it can't switch out. Drill Run The user crashes into its target while rotating its body like a drill. Critical hits land more easily. Water Gun The target is blasted with a forceful shot of water. Water Pulse The user attacks the target with a pulsing blast of water. This may also confuse the target. Razor Leaf Sharp-edged leaves are launched to slash at the opposing Pokémon. Critical hits land more easily. Trick-or-Treat The user takes the target trick-or-treating. This adds Ghost type to the target's type. Shadow Sneak The user extends its shadow and attacks the target from behind. This move always goes first. Shadow Ball The user hurls a shadowy blob at the target. This may also lower the target's Sp. Def stat. Aurora Veil This move reduces damage from physical and special moves for five turns. This can be used only in a hailstorm. Rolling Kick The user lashes out with a quick, spinning kick. This may also make the target flinch. Astonish The user attacks the target while shouting in a startling fashion. This may also make the target flinch. Sleep Talk While it is asleep, the user randomly uses one of the moves it knows. Synchronoise Using an odd shock wave, the user inflicts damage on any Pokémon of the same type in the area around it. Smog The target is attacked with a discharge of filthy gases. This may also poison the target. Sunny Day The user intensifies the sun for five turns, powering up Fire-type moves. It lowers the power of Water-type moves. Lava Plume The user torches everything around it in an inferno of scarlet flames. This may also leave those it hits with a burn. Thunder Fang The user bites with electrified fangs. This may also make the target flinch or leave it with paralysis. Flame Wheel The user cloaks itself in fire and charges at the target. This may also leave the target with a burn. Extreme-speed The user charges the target at blinding speed. This move always goes first. Flare Blitz The user cloaks itself in fire and charges the target. This also damages the user quite a lot. This attack may leave the target with a burn. Helping Hand The user assists an ally by boosting the power of that ally's attack. Smack Down The user throws a stone or similar projectile to attack an opponent. A flying Pokémon will fall to the ground when it's hit. Sand Attack Sand is hurled in the target's face, reducing the target's accuracy. Pursuit The target is slammed with a long tail, vines, or the like to inflict damage. Giga Drain A nutrient-draining attack. The user's HP is restored by half the damage taken by the target. Slam The target is slammed with a long tail, vines, or the like to inflict damage. Energy Ball The user draws power from nature and fires it at the target. This may also lower the target's Sp. Def stat.